Express your innermost feelings with this romantic bouquet. 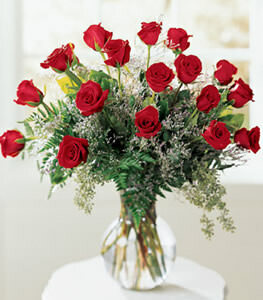 18 roses, limonium and seeded eucalyptus are beautifully arranged in a glass vase. Sure to impress.